Scam alert! If you receive a letter like this, don’t fall for it! 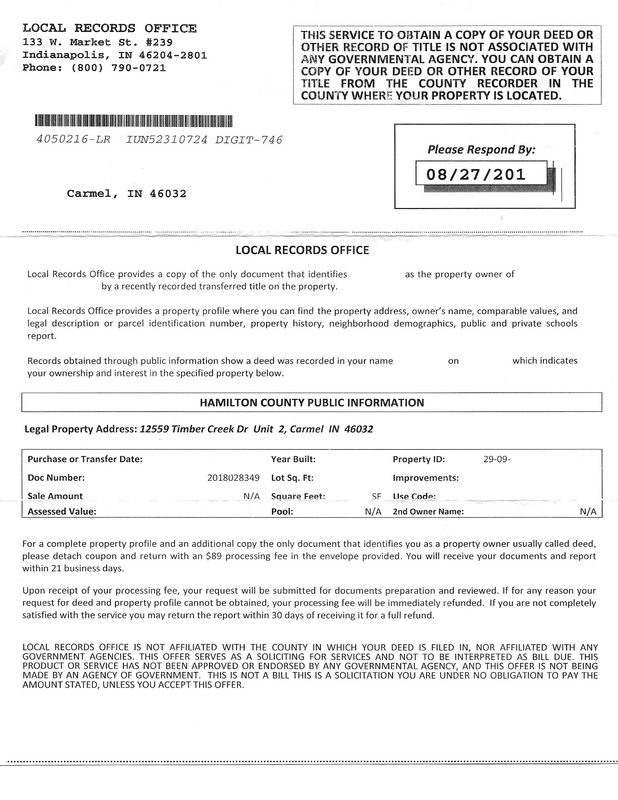 You can get this paperwork for free at your county recorder’s office or from me. No need to pay any money for these documents!